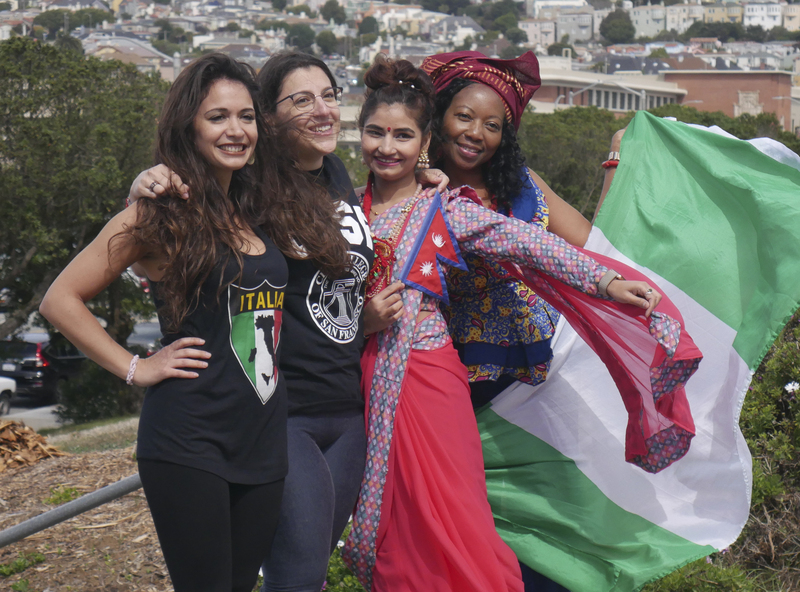 The International Students office organized a photoshoot and lunch event at City College on Sept. 12 to update the photos on their printed materials. 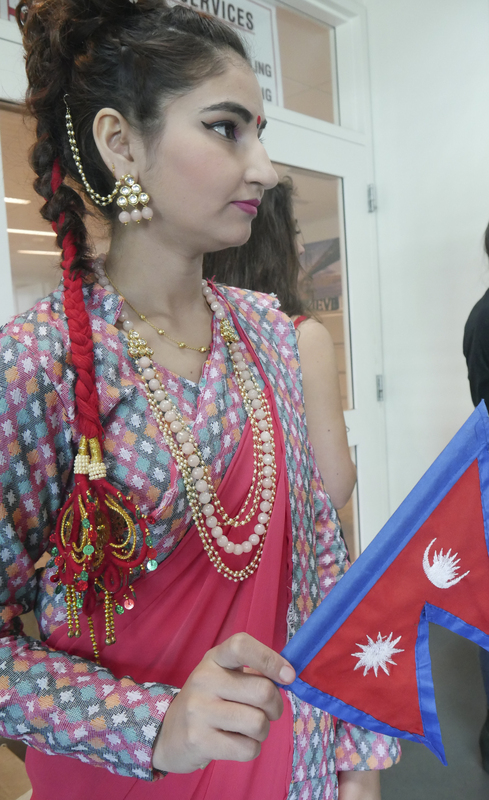 This event gave an opportunity for international students to represent their school and homeland with attire and flags from their countries. The photoshoot was organized by Martin Rosales, assistant admissions coordinator for international students. The photographer was Aziza De La Torre, who works for both the Matriculation and Outreach offices. The International Students office needed to update old photos for an upcoming event, according to De La Torre. The photoshoot provided international students the chance to not only get great pictures and a free lunch, but also to meet one another. Though neither had met before this event, Chiara Di Martino and Beatrice Paesano are both from Italy. 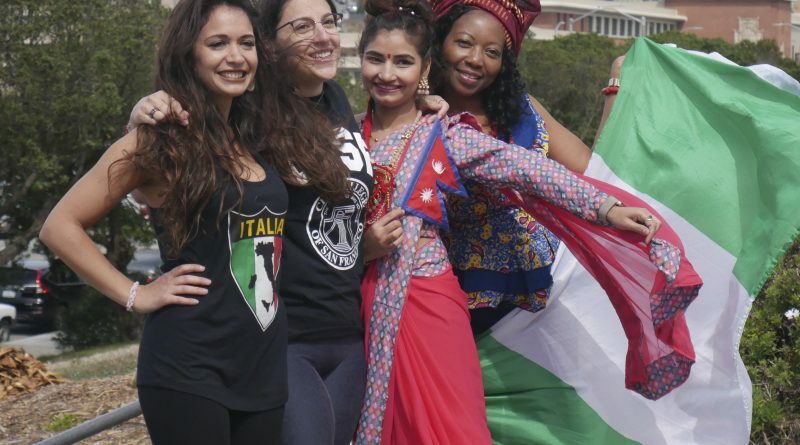 Di Martino wore a tank top emblazoned with the word, “Italia” and the outline of the country. Paesano was able to borrow a CCSF shirt and share her school pride for the photographs. They were later joined by Oluchi Jane Ikeji, a child development major from Nigeria. She wore a top made out of Ankara fabric, which is manufactured in Nigeria and commonly worn by people from the many indigenous cultures within the country. Her beads, however, were specifically from the Ibo culture. Other students had also signed up for the event, but as time wore on with no show, Rosales went so far as to call them to confirm whether they would be joining them. It was decided that the photos would be taken without them. “You know what? 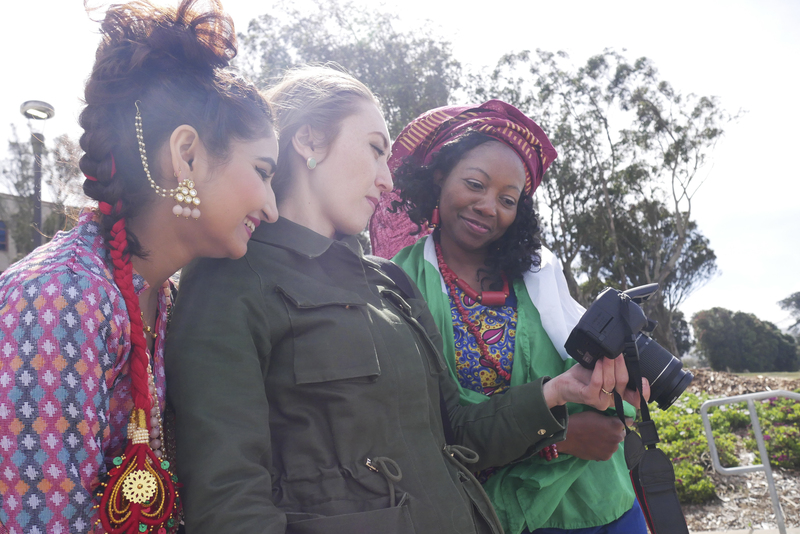 We’re just going to show the strong empowered women of City College of San Francisco,” said Rosales. De La Torre brought the group up the steps towards the science building from Phelan Avenue, where they posed together while radiating smiles from all the jokes told. “Jane, tell a funny joke,” said De La Torre as she snapped photos. The overall mood was relaxed and casual. Both Paesano and Ikeji brought up their plans to apply for the federal program, Optional Practical Training (OPT). International students are not legally allowed to hold jobs while studying in the United States — a big concern, especially in an expensive city like San Francisco — but the OPT program authorizes them to stay in the U.S. for a year to gain experience in their field. For students like Ikeji and Paesano, who are both on their last semester, this is an important step in growing their careers in America. CCSF have many other Asian countries—-was this an oversight or a different theme in terms of International Studies???? No pictures or mentioned? When you indicated International….I did not see any mentioned or pictures of Asian countries [students] from that part of the world in your article. Was this an oversight?